From top to bottom these are 296 Meadow green, 342 Sea green and 333 Briliant violet. As you can see from my index finger I had some trouble getting in to it, but when I got to my pinky I got the hang of it again. I should really do gradients more often, they are so much fun! I hope you liked this post, and see you soon! Wow, such a pretty nail work :) I think you should do a tutorial on these! Wow, this is a perfect gradient! Thanks, I guess it does look like a peacock! One of my all-time favorite combos -- PERFECT! Love it, and it's really well done! Beautiful shiny polishes! And the colours go so well together! Great gradient! I've only tried two colours but you've inspired me to try more! Ahw, you are so sweet, thank you! Thank you! 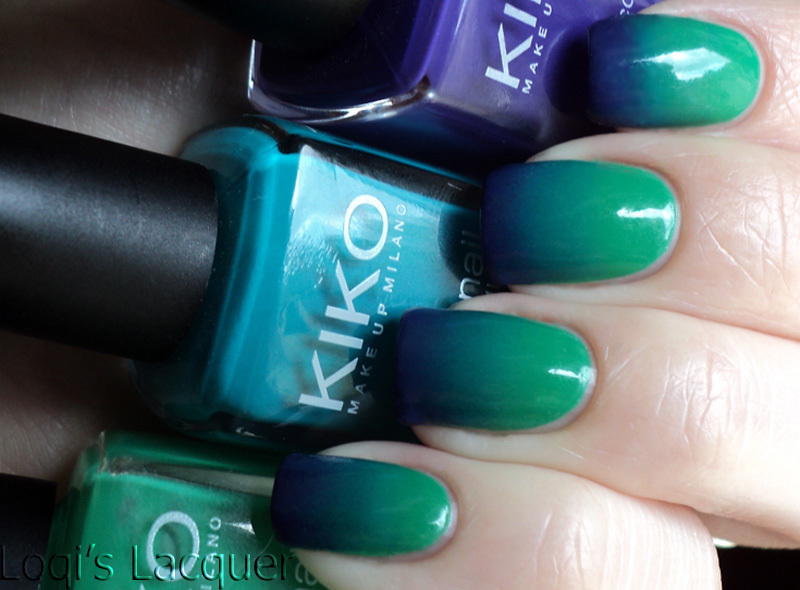 Kiko polishes are really great, I haven't had a bad one yet! Oh my god, I just love your skills! Wish I could do mine like that! Love the colours! I love gradients and this one looks awesome!! Oh my gosh, I saw this quickly while on vacation and it is SO pretty!!! Ouh, it looks amazing! 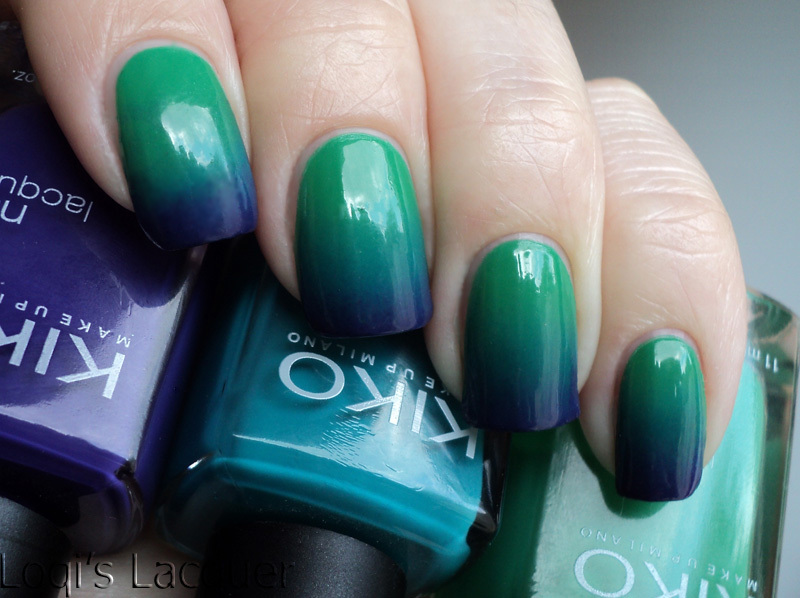 Is like the perfect gradient!